Han and Chewie. Best spuds. I mean buds. Just when you had thought that you had seen every type of Mr. Potato Head offering, along come these starchy scoundrels. They stand over 6-inches tall and come with a variety of components like Han Solo’s vest, blaster, and his smirk. . Begun these Starch Wars have. The Han Solo Poptaters Mr. 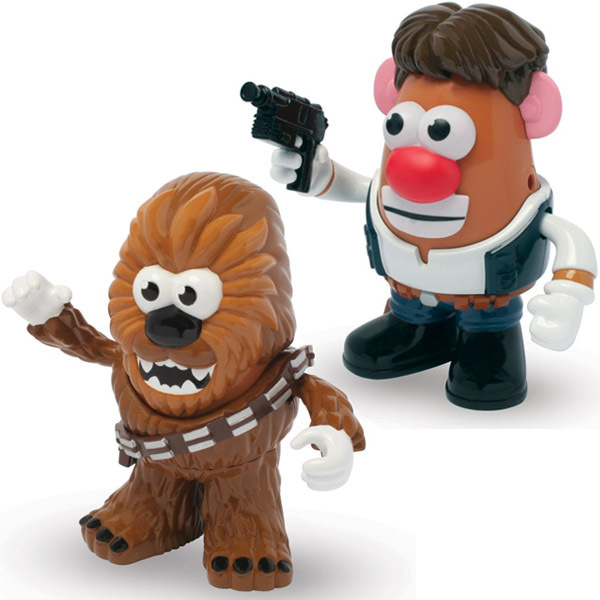 Potato Head and the Chewbacca Poptaters Mr. Potato Head will arrive in June of 2016 for $19.99(USD) each from Entertainment Earth. Do you think they fly around in a misshapen potato? One can only hope.